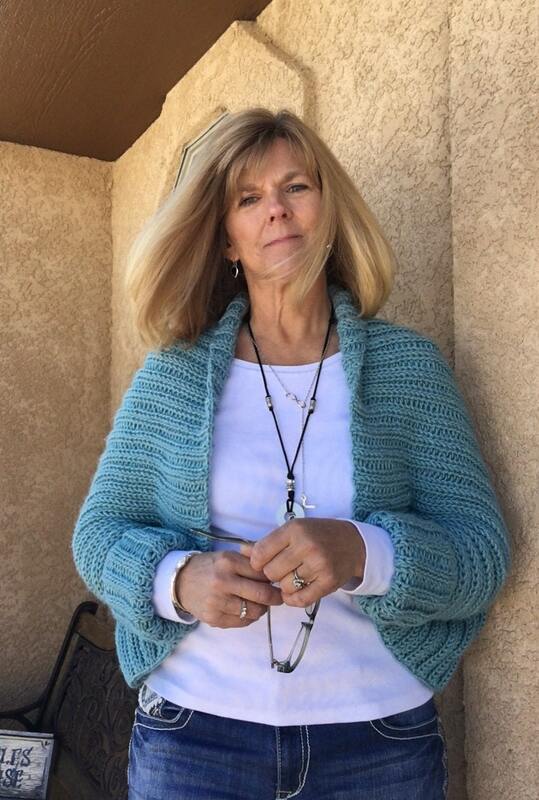 This comfy sweater shrug is double knit on a 1/2” gauge CinDWood 48” or 60” Universal S Loom. 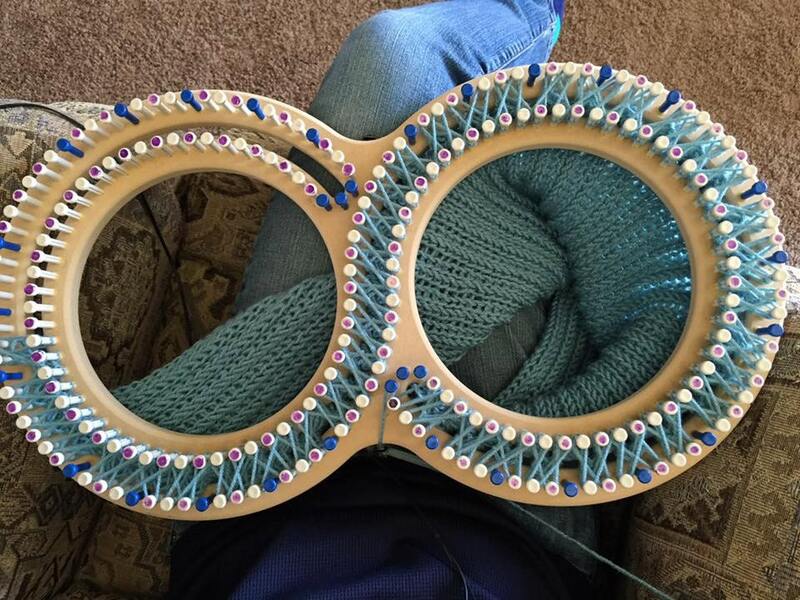 It uses approximately 750 yards of a worsted weight yarn. 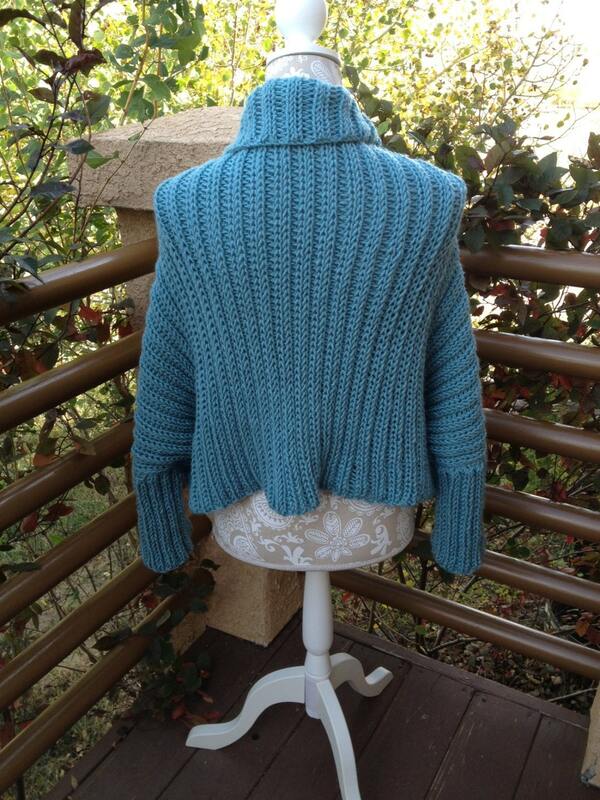 The sweater is knit in three pieces (body and two sleeves) and then seamed together. 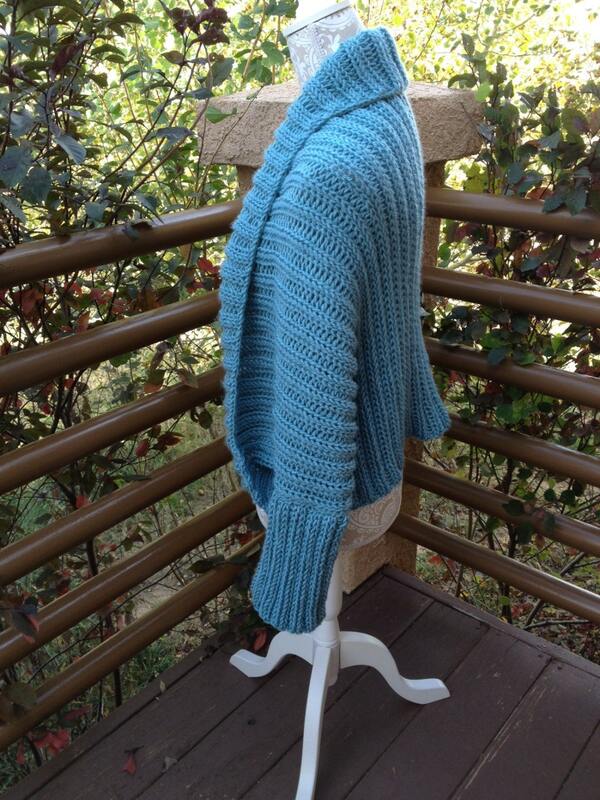 The pattern is written for sizes S/M and L/XL. 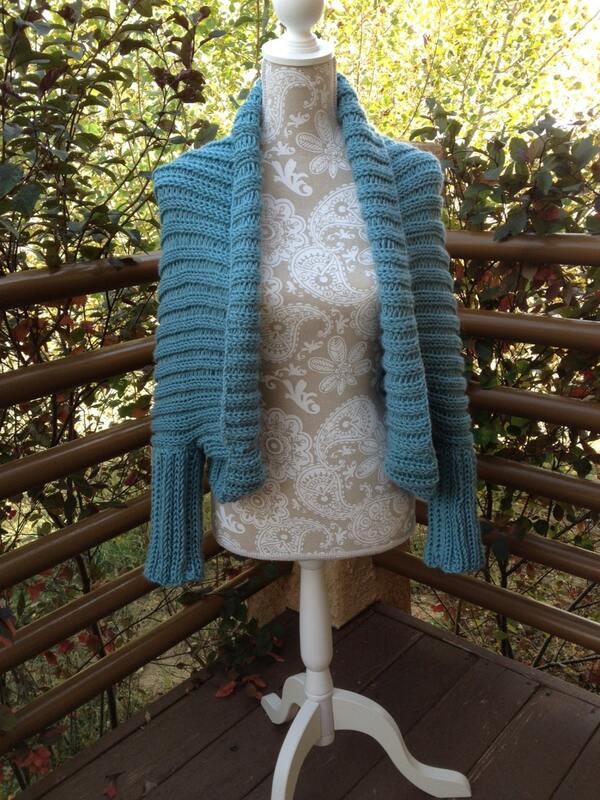 The pattern is suitable for an advanced beginner, someone who is comfortable double knitting.